We have meeting room facilities and short or longer term desk hire available for your organisation, all including wi-fi, tea and coffee. For further information please contact us on enquiries@sasp.co.uk or 01823 653990. Large Meeting Room available for half or full day hire. Choice of table arrangement or will comfortably seat up to 30 people without tables. Large screen VDU for laptop connection and presentations. 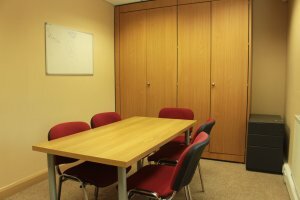 Small Meeting Room available for half or full day hire. Ideal for up to 6 people. 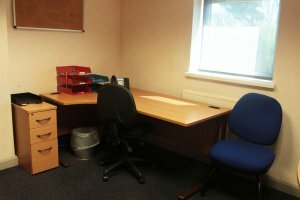 Office with desk, storage, phone and wi-fi access. Available for short or long term hosting.